Non Communicable Disease refers to cardiovascular diseases (CVD), cancer, diabetes melitus, chronic respiratory diseases. The non communicable diseases have emerged as a threat globally, specially in developing countries. Men, women and even children are equally in risk for NCD’s. Many studies have shown that NCD’s are major raising health problems. Bangladesh has also been going through a rapid epidemiological transition in which NCD’s accounts for two third of all deaths. The risk factors for NCD’s are well established among them mostly modifiable and can be monitor. Socio-demographic characteristics, some major risk factors like tobacco use, alcohol use, dietary habits containing low fruits and vegetables, physical inactivity plays important role for increasing the non communicable disease prevalence. So it’s important to assess the risk factors associated NCD’s and changes to a better lifestyle, keeping these risk factors identified in the community and proper actions to be noted. 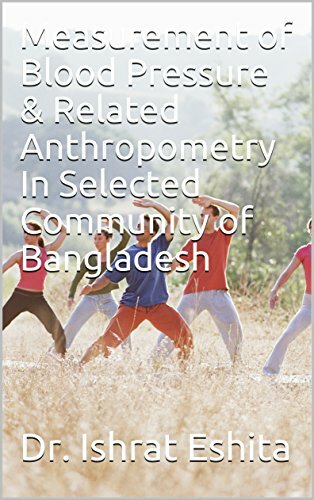 In the present study, we aimed to survey on blood pressure and anthropometric measurement of a rural Bangladeshi population in Dhamrai, 47 km from Dhaka, the capital city. It should be noted that vast majority of Bangladeshi population live in rural areas.